Pack price: 1,592.44€ tax excl. 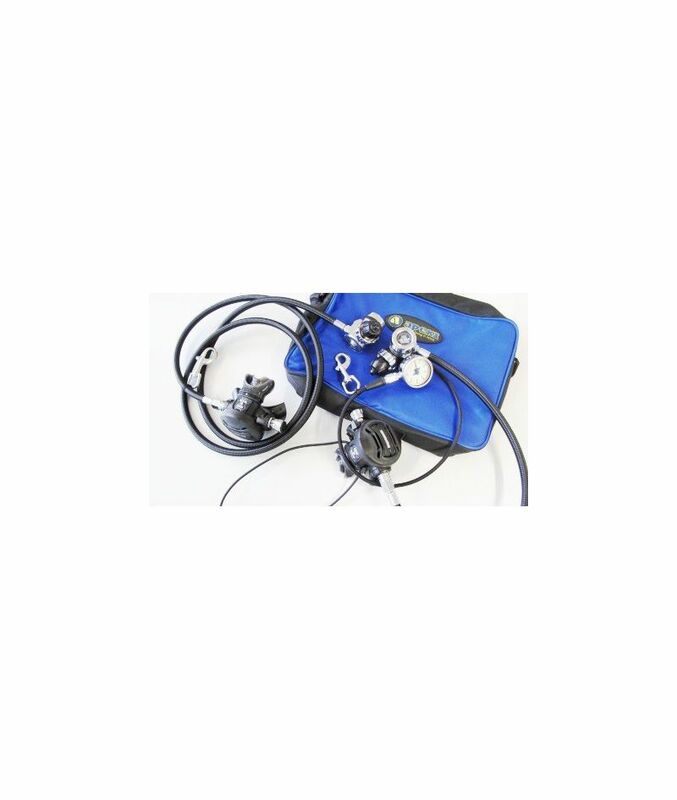 The Deepstop DIR TEC3 set is equipped with the high quality TEC3 1st stage and XTX50 2nd stage from Apeks. The tank in this set is a double-12 with Halcyon or Scubatec valve and V4Tec precision clamps. It is mounted on a Halcyon backplate with a Halcyon Evovle Wing. The regulators come in an Apeks regulator bag. When choosing the right double-12 tanks, you can choose between a round bottom and a concave bottom. 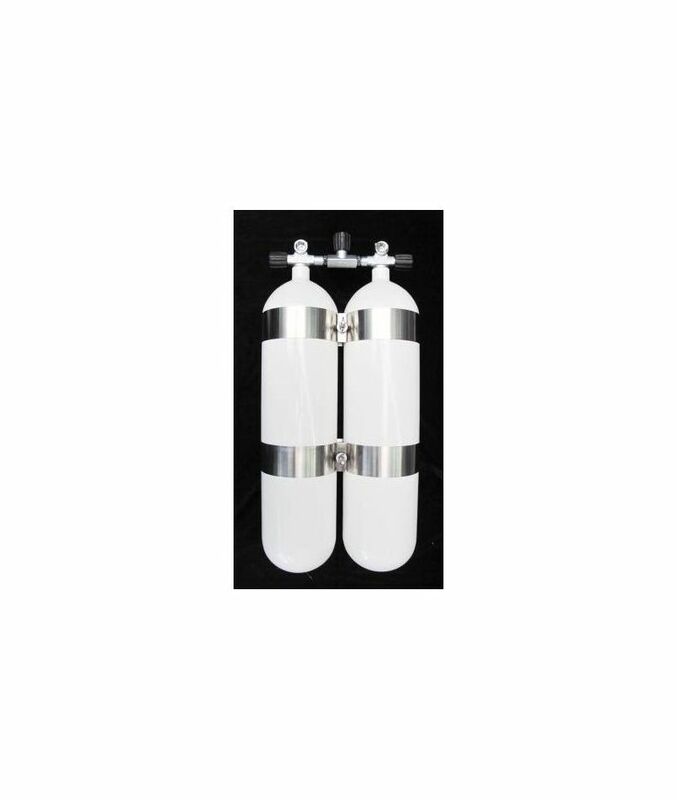 Bottles with round bottoms allow for a more central weight distribution, while concave bottoms allow an easy bottle placement and prevent a top-heaviness of the diver. Furthermore, there is a choice between Halcyon and Scubatec valves. 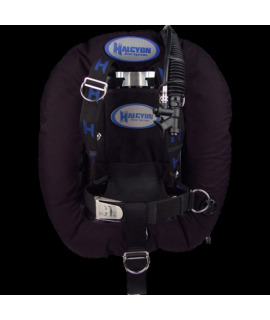 Halcyon valves are of a higher quality and smoother running than Scubatec valves, TÜV and similar approvals have of course both. The bottle surface is flame spray galvanized, primed, painted, colour white. The TÜV documents and commissioning confirmation are either enclosed or can be downloaded from the BTS homepage (www.bts-eu.com) using the bottle numbers. Our double units are supplied with the tried and tested V4tec stainless steel precision clamp sets (V4 steel), with screws, washers and wing nuts. The devices are expertly assembled by us so that the bottles are parallel and in one plane. We pack the bottles in special cartons and usually deliver them on pallets by UPS or shipping company. 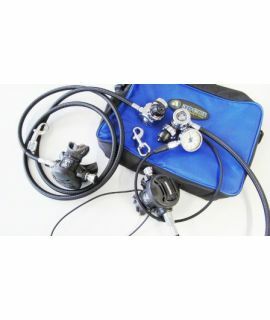 Technical divers depend upon the ability to control buoyancy by venting gas from both the inflator and the rear over-pressure valve. The Evolve matches the Eclipse for ease of use of the rear over-pressure valve for venting gas during the dive. Wreck divers and cavers will immediately appreciate the Evolve's ease of buoyancy adjustment. 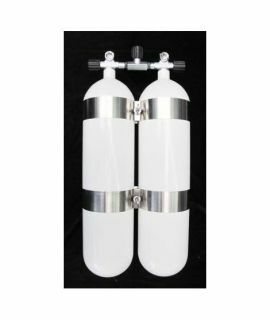 The Evolve has been extensively tested in every possible condition, from the tropics to the arctic, with aluminum and steel cylinders, with open circuit and with rebreathers. Halcyon has worked closely with its international testing team to refine the design to create the first breakthrough in doubles wing design in decades. The Evolve wing integrates seamlessly with Halcyon's existing line of MC systems, and is available in 40 lbs. (18 kg), and 60 lbs. (27 kg) lift capacities, either individually, or as part of their complete MC System. Also an option: Halcyon customized design-wings, please use the form in "DOWNLOAD"